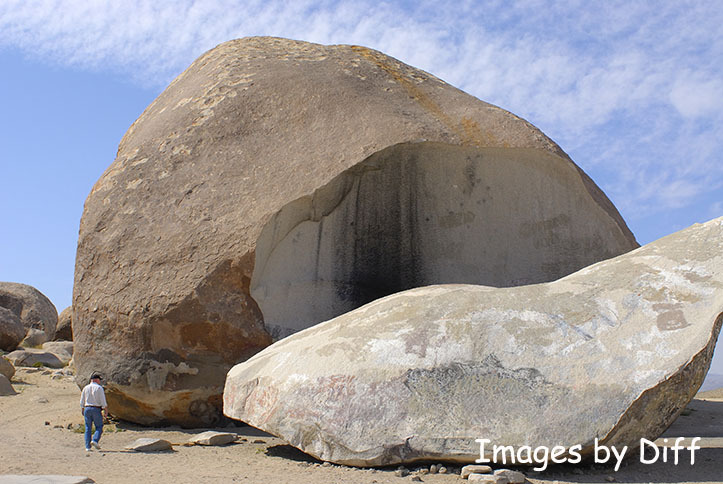 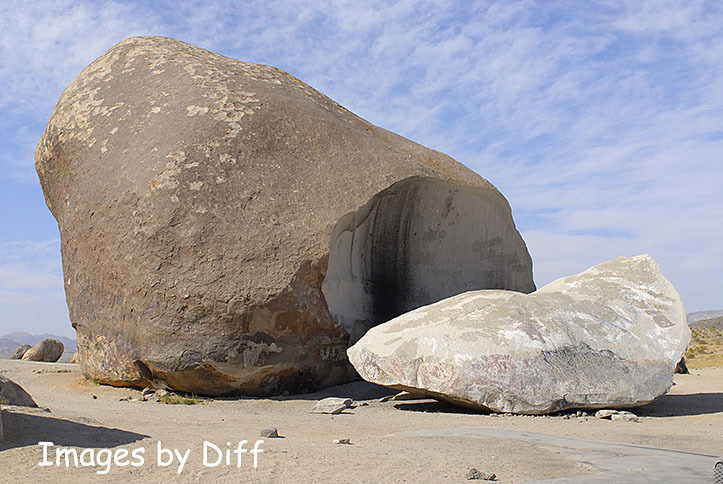 click photo to enlarge Giant Rock is considered to be the largest free standing boulder in the world. The rock split in 2000 reportedly after some campers had a huge bon fire burning under it all night. Giant rock is where George Van Tassel built a runway for his UFO conventions held there in the 1950's. click photo to enlarge Today the area is popular with off road riders. 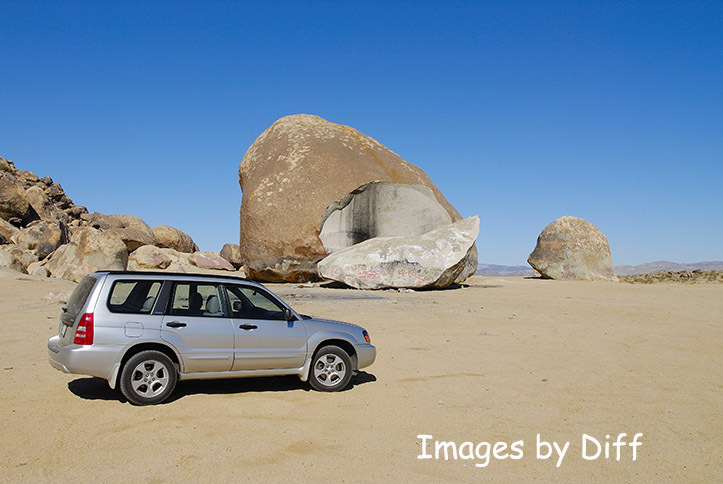 It is reached by 4 miles of dirt road from the Integratron. 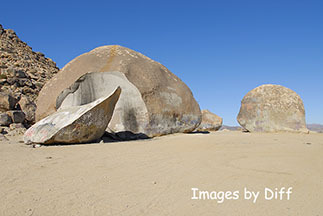 click photo to enlarge The photo to the left with a person in it gives you some idea of the size of the rock. 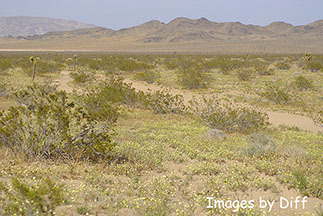 The photo below shows the desert in full bloom. 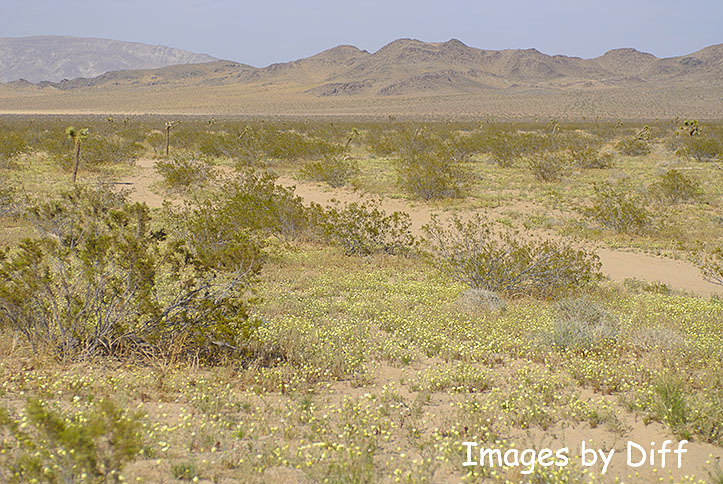 You don't get blooms like this very often and it made for a great time to visit the desert.